We profess in the Creed that the Church is apostolic, as well as being one, holy and catholic. By describing one of her essential marks as apostolic, we mean that she owes her origins to the Apostles, those original Twelve whom the Lord Jesus chose to be his closest companions and disciples. Those who follow and succeed the Apostles are responsible in their turn for safeguarding the integrity of this deposit of faith, and for passing it on to succeeding generations of believers. With Pope Francis, the successor of Peter, the ‘college of bishops’ takes the place of those first Apostles and continue their work of proclaiming and witnessing to the gospel of Christ. I was reminded of this essential truth of our faith when I attended, for the Diocese of Lancaster, the ordination of two new auxiliary bishops last Monday for the Diocese of Westminster. Cardinal Vincent Nichols was the chief celebrant at the ordination Mass of Bishops John Wilson and Paul McAleenan in a packed Westminster Cathedral. The rite of episcopal ordination is rich in symbols, each of which conveys an important aspect of the office of bishop. After the invocation of the saints, each concelebrating bishop lays his hands in silence on the head of the candidate, a gesture signifying that the person is now becoming part of that college of bishops, and who will continue the apostolic succession. The ‘laying on of hands’ is a very old religious rite and dates back to biblical times, signifying membership of a body. The new bishop is anointed on the head with the oil of chrism, configuring him in a particular way to Christ who is the anointed one of God. As Christ was anointed for his mission by the Holy Spirit, the bishop likewise shares in that same spiritual anointing. A profoundly impressive symbol takes place when the book of the gospels is held over the head of the person made bishop, meaning that his rule of life must be first and foremost to teach the gospel. The bishop is also given a ring and told to care for the bride of Christ, to whom he is now betrothed, reflecting Christ as the spouse of the Church. The mitre, representing a priestly headdress going back to the days of Moses and Aaron, is placed on his head as a sign that as bishop he represents an ancient priestly and biblical tradition in his office as bishop. Finally, the newly ordained bishop is given a staff or crozier, to remind him that he will stand in the place of the Good Shepherd, Christ himself, in his selfless care and protection for the particular portion of Christ’s flock entrusted to him. 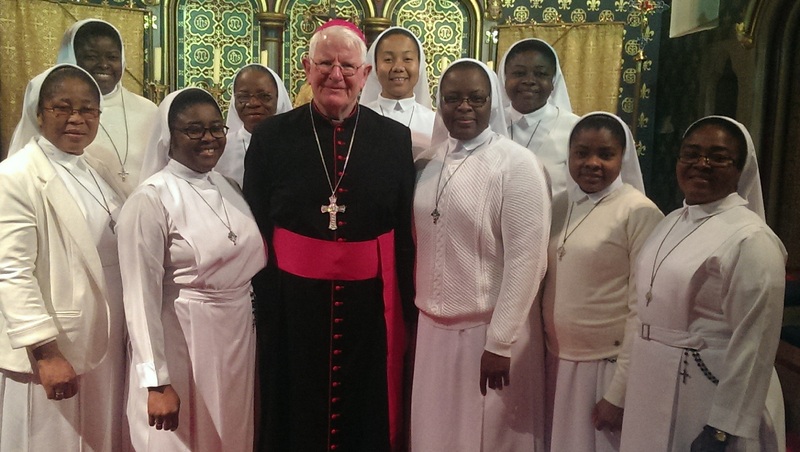 The ordination of a new bishop is always an occasion of grace, joy and hope, and the happy ceremony in Westminster Cathedral on Monday was no exception. Christ continues to be present in the life of his Church and his people. The ministry of bishops guarantees that the truth and salvation he came to bring us, and won by his cross, is constantly made offered to each passing generation of believers until he finally returns in glory. We wish the newly-ordained Bishops Wilson and McAleenan every blessing as they assume their ministry of chief shepherds after the heart of Christ. 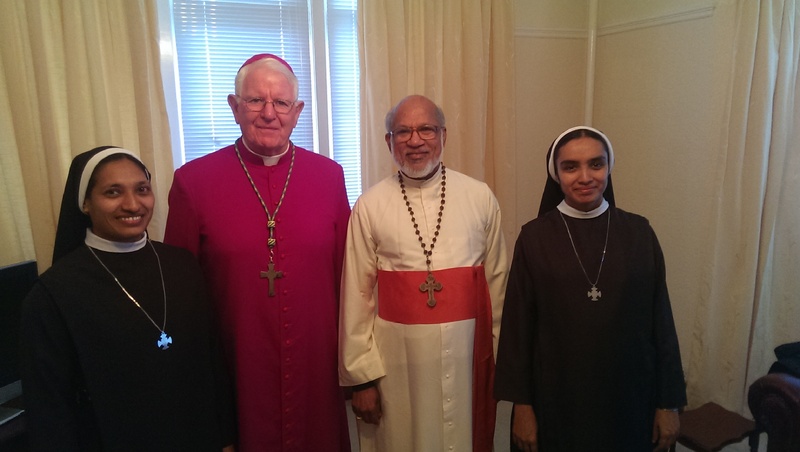 An occasion and ceremony of an altogether different kind took place last Wednesday afternoon at Cardinal Newman (Sixth Form) College in Preston when I blessed a new extension, dedicated to the patronage of St. Francis. This recent addition will serve as a centre for the teaching of Maths and Sociology, with other amenities for the rapidly expanding student body, not least a fine cafeteria! I had the pleasure of cutting the ribbon of the new building with a distinguished past student of the College and a graduate of Cambridge University, and who is now a veterinary surgeon. Given St. Francis’ affection for animals, it was highly appropriate that someone who cares professionally for the welfare of animals should have a role in the opening of this new block. The fact that she was a past pupil enhanced the occasion. Although these two events – the ordination of bishops and the blessing of a college extension – appear to unrelated, that is not quite the case. Christ was present and very much part of both! The new bishops will have the task of passing on the Christian Catholic faith, while Newman College will continue to teach many different subjects to present and future students but always within the context of our Catholic faith and tradition. May the life and work of the Church in all its spheres continue to flourish! 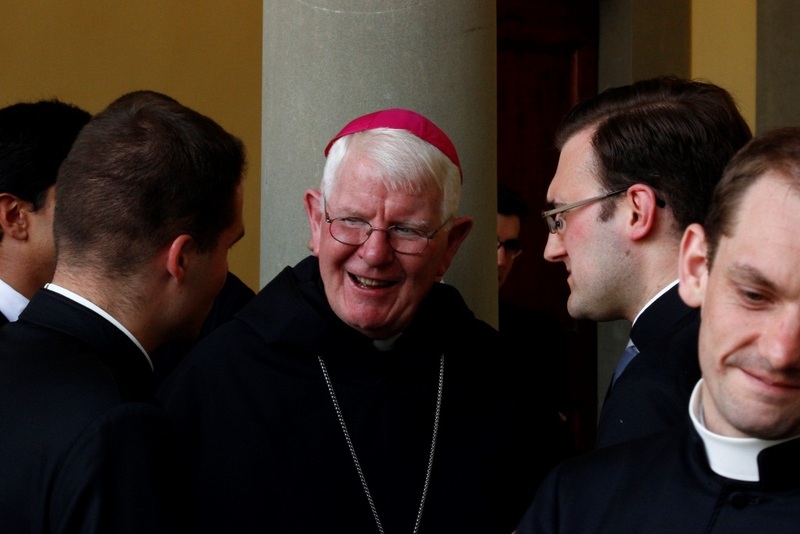 Welcome back to the Bishop’s Blog for this week! A week on Tuesday, 2nd February, Candlemas Day, Pope Francis will offer Mass in St. Peter’s Basilica, in the presence of many religious men and women and those belonging to the consecrated life. 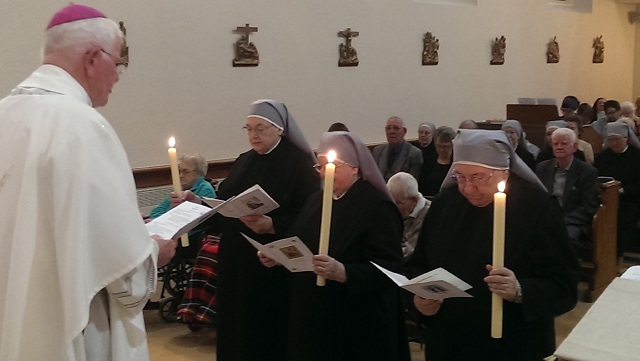 This solemn celebration will mark the close of the Year of Consecrated Life which the Church worldwide has been observing for the past twelve months. It is therefore timely and appropriate to acknowledge and give thanks for the wonderful gift and often outstanding witness that religious and those consecrated bring to the life of the Church. St. Augustine of Hippo remarked a very long time ago that ‘religious life is a great mystery.’ By that he presumably means the profound act of faith by which a person feels called to follow Christ exclusively through the vows of poverty, chastity and obedience. As we know from the history of the Church, this unique manner of discipleship has taken many forms, all of which are intended to show the face of the Son of God to the world. We are familiar with religious who care for the sick, or who teach the young, offer places of prayer and retreat, and so much else. Those who consecrate themselves to Christ continue, in a particular way, his incarnation in the world. The charism of religious or consecrated life does not denote superiority with the family of the Church, but in common with every other gift of the Holy Spirit has its roots in the sacrament of baptism. 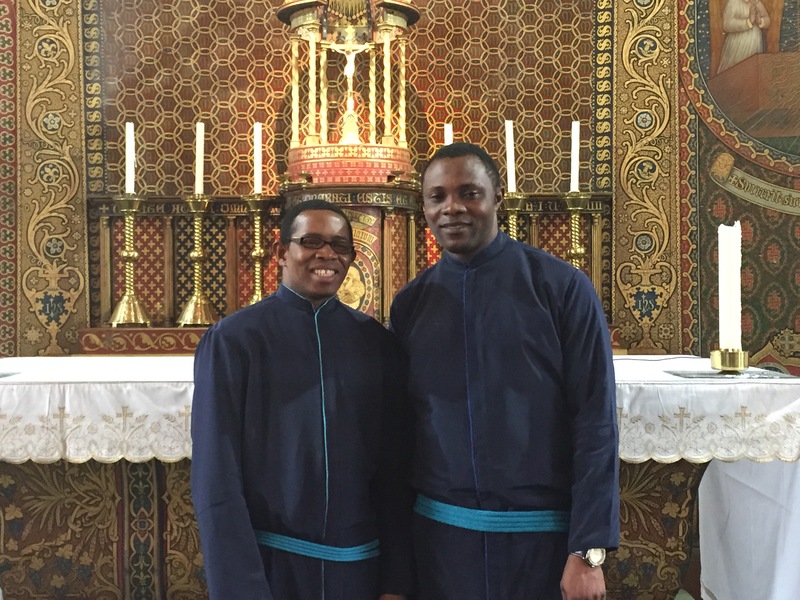 Christian life and discipleship begin for everyone at the baptismal font, hence each baptised person is graced with a lifelong vocation in Christ. 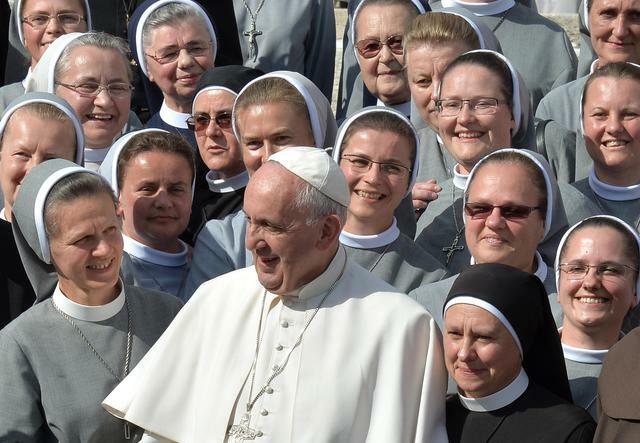 Religious and consecrated life represents one way, albeit more intensive, of living out that baptismal call. 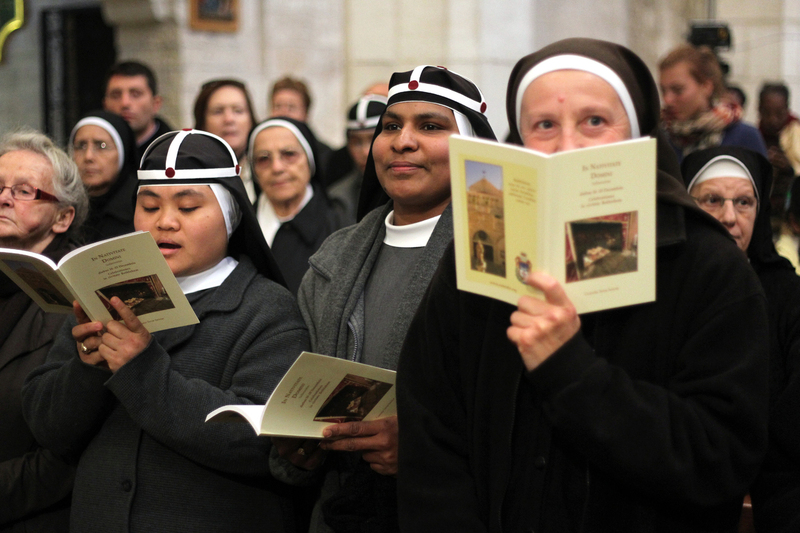 Those in the consecrated life are a reminder to the wider Church of the imperative to witness to Christ in whatever state in life we may find ourselves. The present Holy Father lays great emphasis on our need to reach out to the poor and marginalised of our day, to offer the hand of friendship and practical help to them. The founders and foundresses of religious orders, such as St. Jeanne Jugan and St. John of God, have left us inspiring examples of such care for the needy and outcast. 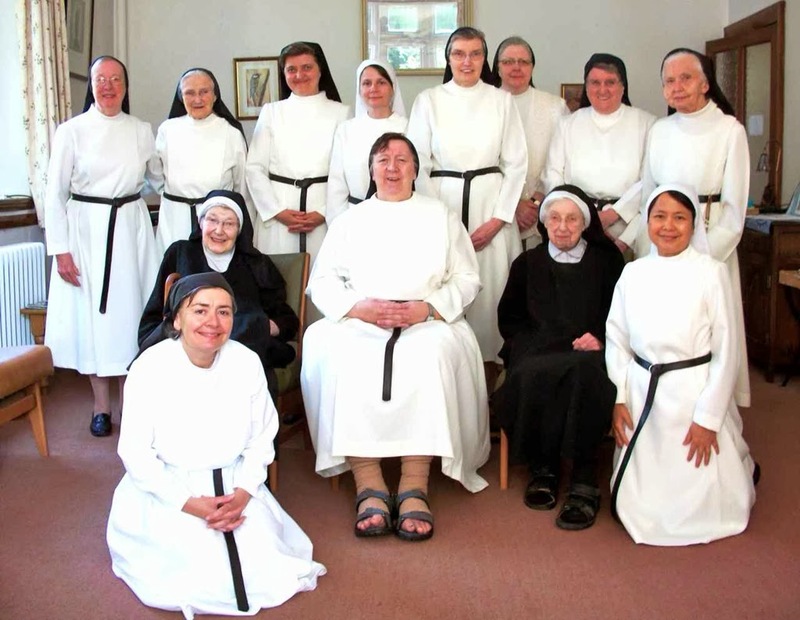 As this Year of Consecrated life draws to a close, let us join with the universal Church in giving thanks to God for the inspiring lives and service of our sisters and brothers in consecrated life. We also add a prayer for an increase of vocations that this sign of the charity of Christ may ever shine brightly among God’s people. 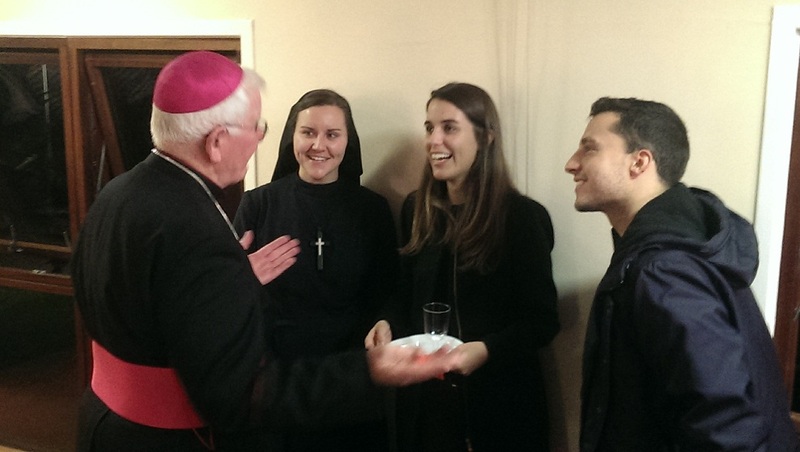 Welcome back to the Bishop’s Blog – to this the first post of 2016! This week, I would like to call the People of God in our Diocese of Lancaster to our annual Pilgrimage to Lourdes during this Jubilee Year of Mercy – especially our young people! Pope Francis has called the whole Church to a new and life-giving experience of God’s mercy in the Jubilee Year which began on 8 December (last month) and concludes on the feast of Christ the King this November (2016). God is not far from anyone of us and so the Holy Father wishes us to open our hearts and allow ourselves to be embraced in a particular way by the gentleness of that mercy. 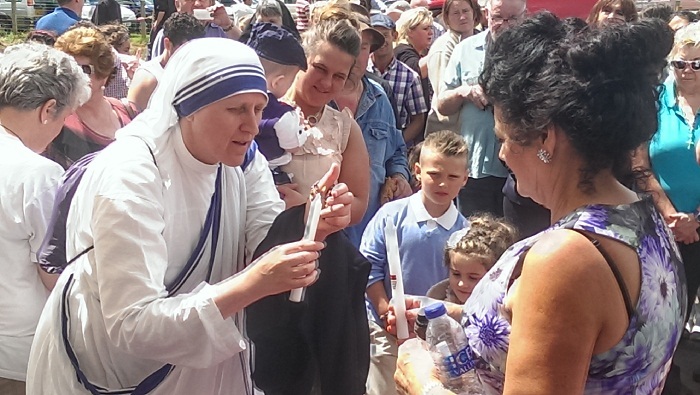 There are many ways of responding to the Pope’s invitation, of awaking ourselves spiritually to the wonder of this mercy, and a significant one would be to join the Lancaster Diocesan Pilgrimage to Lourdes in the last week of July. This, I suggest, could be a life-changing moment, especially for a young person who has never been on pilgrimage previously. The idea of pilgrimage has very ancient roots and God’s people, Scripture relates, were on pilgrimage for forty years on their way to the land of promise with Moses at their head. It was a time of spiritual purification under God, one of self-discovery and of growing in the knowledge of God’s saving plan for them. They journeyed as a people, and at the heart of pilgrimage is to walk in the company of others, on a journey of discovery and personal insight. We go to Lourdes as a diocesan family, engage with others, pray for loved ones, assist those less able than ourselves, and all the while be under the watchful eye of Our Blessed Lady, the Lord’s mother. We leave Lourdes changed people, whether we realise it or not. What is it about the shrine of Lourdes which attracts such large numbers year by year: young and old, the sick and infirm, and those in quest of something or other they are not sure of? One principal reason is that the atmosphere there is so different from what we experience in normal life. The whole demesne, and above all the grotto where Our Lady appeared to Bernadette, offer a space and an opportunity just to be ourselves, to observe other pilgrims, particularly the touching procession of sick pilgrims, to reflect and of course to pray. The clamour and the strife of our present-day world of which we are so conscious in our day to day activities pales into the background. We are in effect standing in a different place, on holy ground. I warmly invite any person, especially our young people, at this time, over the age of 16 years, who read this and have never been to Lourdes to strongly consider coming with our Lancaster diocesan family in this unique Jubilee Year of Mercy. Don’t think that a pilgrimage to Lourdes is not for you! It is! Almighty God and Our Lady of Lourdes will have many surprises in store for you! One thing is sure: you will never regret it, and it will be a week you will remember for the rest of your life. Why not give it a try? If you are a young person contact Castlerigg Manor or if an adult – book with Mancunia. 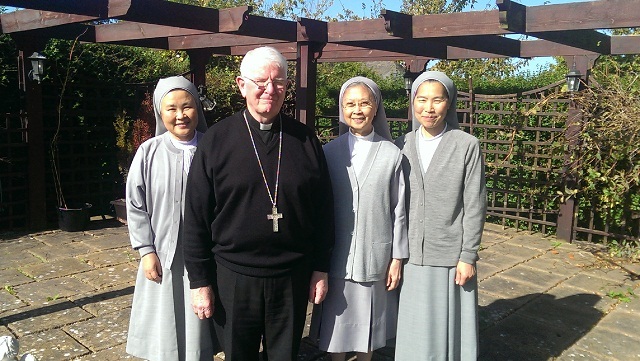 Bishop’s Blog: Visiting Pastures Old and New!